Today we are going to review a very suspicious binary options project called „The Millionaires Maker“. 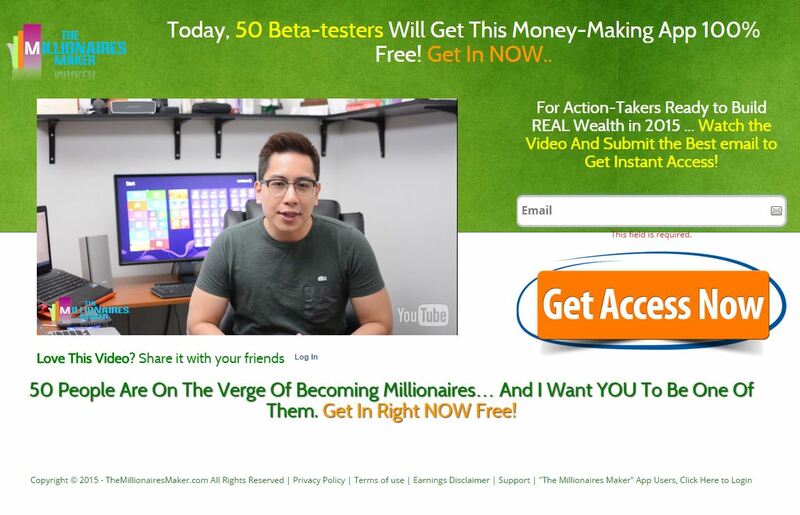 The Millionaires Maker is very similar to a lot of binary options scams that we have uncovered on our web site. Presented testimonials let you think that you can make thousands of dollars per day trading binary options with their system. The first BIG problem is the “As seen on” section of the web site. You will see a lot of famous logos like CNN, ABC or BBC, but these media never presented anything about this Millionaires Maker system. So they are obviously abusing these logos, therefore we cannot trust that web site. Another usual scammers’ trick is to say that there are a few limited spots for people that will get the system for free. Because you can come back any time you want and it will always be free. Well, almost, because you won’t be able to use the system unless you open a binary options trading account and deposit money into it. So you will risk your money! To put it simply, the testimonials are not real, the video presentation is only about how it could be. So if you really want to make money on binary options, you’d better learn everything you can about binary options and trade your own strategy. We have never seen a profitable free automatic trading system on binary option, all systems like The Millionaires Maker are designed to make money for affiliates, not traders.